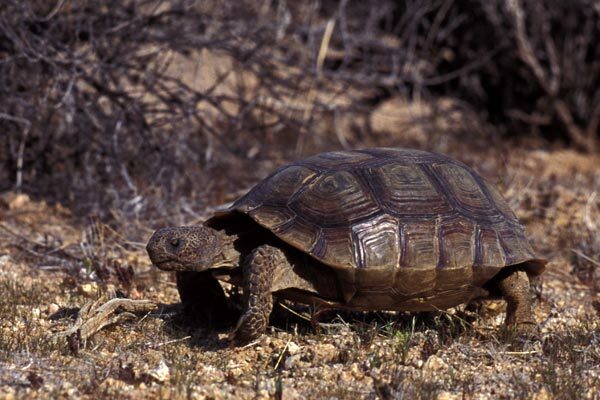 At long last, after many visits to Desert Tortoise Natural Area over the last three years, I finally saw a tortoise. This female is probably about 40 years old, based on her size. When we first saw her in the morning she was lying still, basking in the sun. Later we found her strolling purposefully about, chomping on the sparse grasses and other plants. 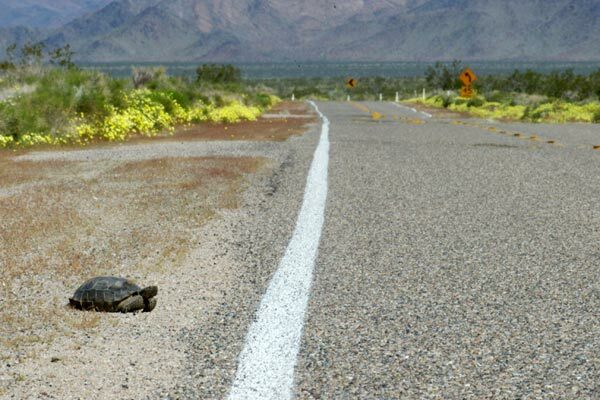 Even for desert tortoises in the midst of the best spring wildflower bloom in decades, it seems that the grass is always greener on the other side of the road. 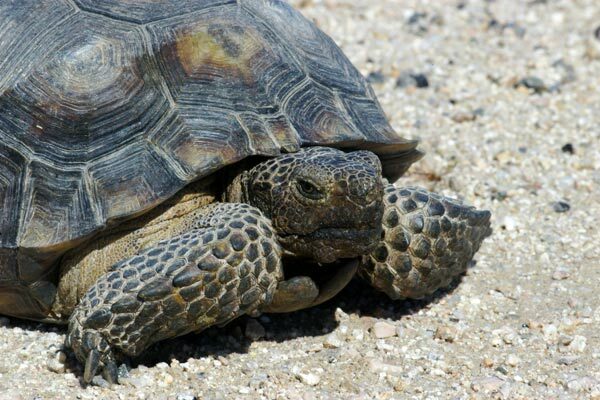 Here is one of the many conservation-based web pages about this threatened species. The zoo where my wife used to work has a good fact sheet on this species. 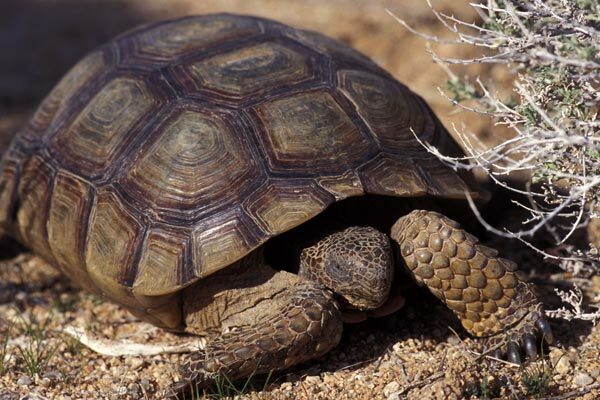 They have a desert tortoise named Tortellini.